Book in One Word: Disappointing. I was really looking forward to A Fierce and Subtle Poison because, well, look at the cover for starters. (I take thee...) But the CONCEPT. How does a story about a poisonous cursed girl with green skin and grass for hair not sound cool and ridiculously unique? Needless to say, I was excited. The problem is that now I can't tell if this book was a disappointment or if I just thought it would be something completely different. Definitely the former, but most certainly also the latter. I would love to tell you the main reason for my disappointment, but then I would spoil A Fierce and Subtle Poison for you and I don't want to do that. So let's just say that the synopsis is a little misleading, okay? The story itself is actually more about Lucas, a blond-haired, white-skinned boy who's an outlier in Puerto Rico. He's also an outlier from his family, especially his father, a hotel-developing, money-wearing man who cares less about trees and more about what they can make. Lucas goes through a number of girls, is more rebellious than not, and is a strong-willed, stubborn teenager who doesn't believe what his father does and who loves their little corner of Puerto Rico just as it is--including the house where the cursed girl supposedly lives. People toss wishes over the house's wall in the hopes that the mysterious and legendary girl of green skin will grant them, and one day, after Lucas is on the search for a missing friend and one girl was found dead, Lucas gets a response to a little note he left. 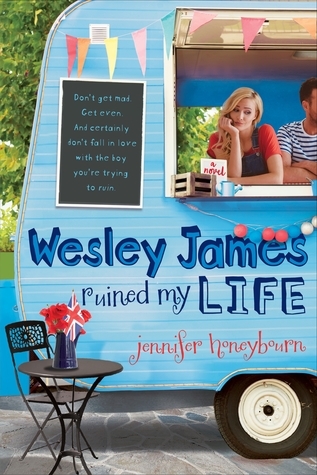 From there the story turns into something I seriously was not expecting, and I didn't love it. Not because it wasn't what I wanted, but because it wasn't super intriguing. Nothing much really even happened until the end, so the story sort of dragged on. But oh my gosh THE END. THE END, THE STUPID END. Super not here for that. Like, at all. What was that? And that's all I'm going to say about this book because I don't know what else to say (at least not without spoiling). 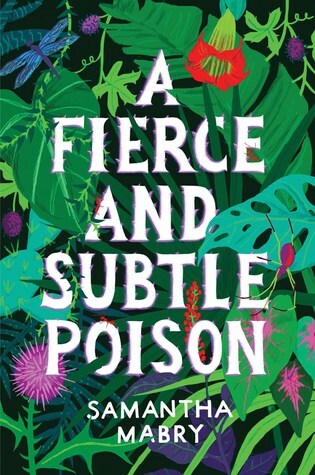 A Fierce and Subtle Poison isn't a bad book, really, and I think the writing was okay, and I liked how it delved into a different culture, but I just expected so much more and something totally different, and that set me up for an unfortunate failure. There were some really great ideas here, but their focus got placed on other, less-important-to-the-story things, and that's a bummer. (Also that ending was no saving grace.) And in the end, A Fierce and Subtle Poison wasn't fierce--it was just subtle. Did I like it? Eh. I didn't dislike it. Would I reread it? Nope. Would I purchase it? For the cover? Yes. For what's inside...no, not really. Who would I recommend it to? If you like books with refreshing, culture-filled settings, mysterious characters, and unique concepts, then this is for you. I am currently reading this book. haven't gotten too far but I do like what I have read so far. The culture is amazing to me very vivid. I totally understand. I was really into this one at first but my interest just fizzled the more I read. The exposition was good but the plot development left me wanting more. And if you want to talk spoilery stuff and vent about it feel free to hit me up on Twitter. Great review!